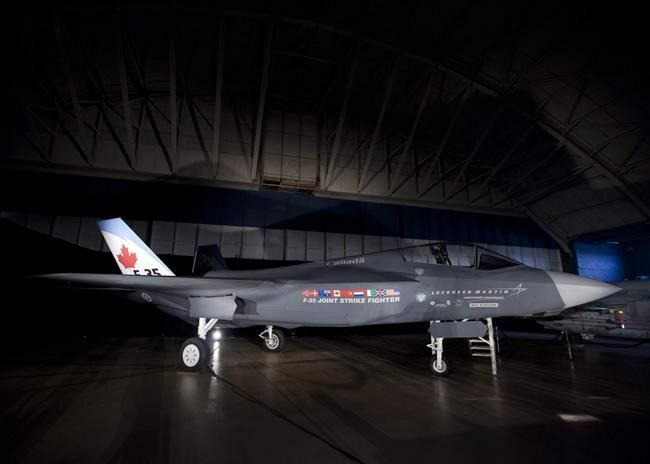 Canada is one of nine partner countries in the F-35 project, each of which is required to cover a portion of the stealth fighter's multibillion-dollar development costs to stay at the table. Each country pays based on the number of F-35s it's expecting to buy. Canada has pitched in more than half-a-billion dollars over the last 20 years, including $54 million last year. But that amount was based on the Stephen Harper government's plan to buy 65 new fighter jets to replace Canada's aging CF-18s, which the Trudeau government has since officially increased to 88. "Canada's costs under the F-35 (partnership agreement) are based on an intended fleet size," Defence Department spokeswoman Ashley Lemire said in an email. "Canada changed its fleet size within the F-35 (agreement) from 65 to 88 aircraft to align with government decisions on the size of the intended permanent fighter fleet to be acquired through competition and the payment increased accordingly." The F-35's development costs have been a constant source of criticism over the life of the stealth-fighter program, which Canada first joined under the Chretien government in 1997. The entire program is believed to have already cost more than US$1 trillion. The F-35 is one of four planes slated to participate in the $19-billion competition that the government plans to launch this spring, the others being Boeing's Super Hornet, Eurofighter's Typhoon and Saab's Gripen. The competition isn't scheduled to select a winner until 2021 or 2022, meaning Canada will be on the hook for several more payments. The first new aircraft is expected in 2025 and the last in 2031, when the CF-18s will be phased out. Acting U.S. defence secretary Patrick Shanahan, a former Boeing executive, nonetheless criticized the program on Monday, saying it "has room for a lot more performance." "I am biased toward performance," he was quoted as saying when asked if he is biased toward Boeing. "I am biased toward giving the taxpayer their money's worth. And the F-35, unequivocally, I can say, has a lot of opportunity for more performance."